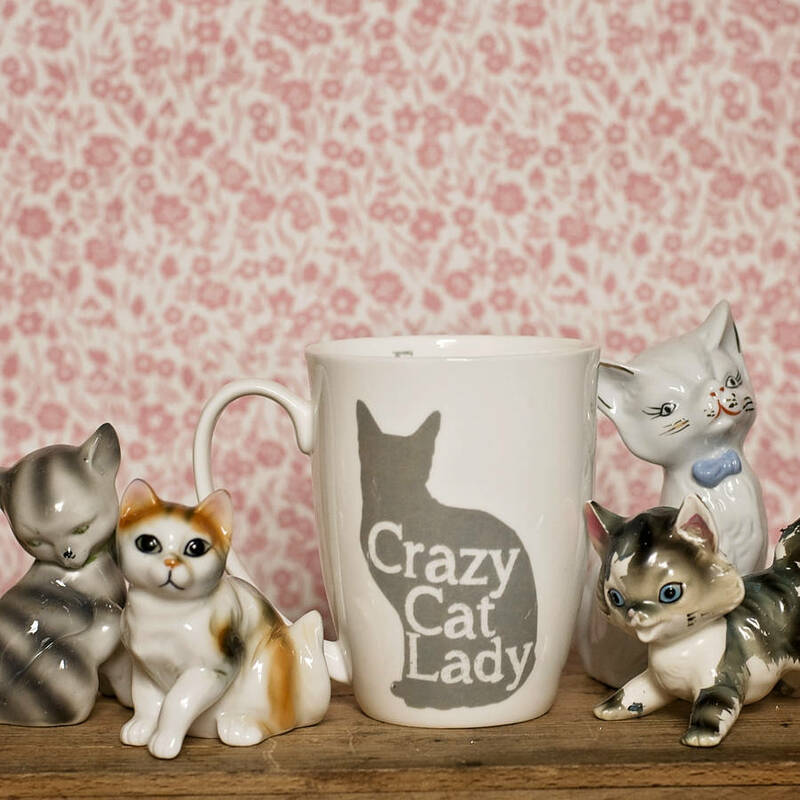 Embrace your inner Crazy Cat Lady with this quirky bone china mug! Great as a gift for the Crazy Cat Lady in your life! 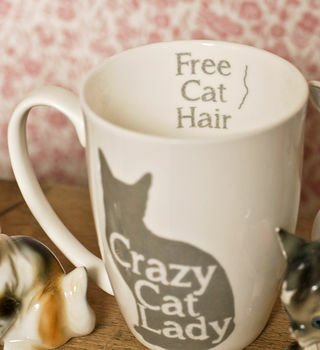 And even comes with a free cat hair inside the rim of the mug, to save your felines adding one! Meow! Also available in Crazy Dog Lady!